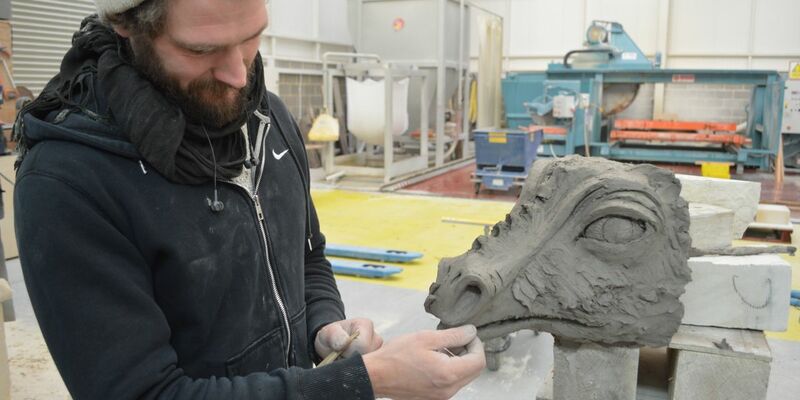 Gregory Gargoyle was no ordinary Gargoyle. He lived high up on the roof of Canterbury Cathedral and for hundreds of years sat patiently watching over the City. He certainly had a tale or two to tell. The problem was he was so SO high up nobody could hear. Then one day work began on the roof and a big red lift appeared. Sensing his chance, Gregory jumped in and came down to play. 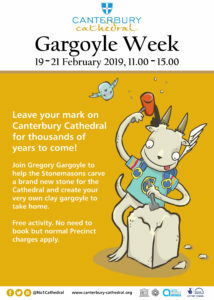 To celebrate Gregory’s arrival why not join the Canterbury Cathedral stonemasons for Gargoyle Week and build a clay gargoyle of your own to take home.